Beyond round challot, apples and honey, there are many symbolic foods to include in Rosh Hashanah feasts designed to remind us of the themes of the High Holiday season. In fact, there is such a thing as a Rosh Hashanah seder. Not as formal — or as lengthy — as the Passover seder, the ritual has its origins in the Talmud. It is essentially a series of blessings for different foods and a play on their Hebrew or Yiddish translations. Each symbolizes the potential of a new year. Positive omens revolve around increasing blessings, fortunes, offspring and mitzvot. Negative omens stem from centuries of persecution and ask in the new year that the plans of enemies of the Jewish people be cut off and eliminated. 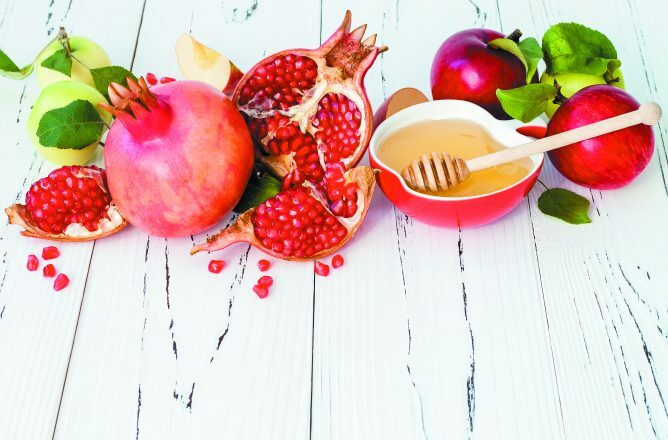 A few foods or tastes to eliminate at a Rosh Hashanah meal include anything sour or bitter. There is avoidance of using vinegar and skipping the horseradish for the gefilte fish. Also, because the numerical value of the Hebrew word for nuts, egot, is the same as the Hebrew word for sin, chet, Geisinsky said there is a custom of not including nuts at a Rosh Hashanah meal. Apple and honey, traditional food of jewish New Year – Rosh Hashana. Apples and honey — the pair are the most widely associated with the Jewish new year. The apples for their roundness, symbolizing the cycle of the year, and the honey for hoping the new year will match its sweetness. When dipping, we say a blessing asking for a good and sweet new year of renewal. Head of a fish (or in some communities, the head of a lamb) — In some cases, Geisinsky explained, just seeing a symbol is a mitzvah. At some Rosh Hashanah feasts, it is customary to display the head of a fish or even a lamb and recite the blessing that in the coming year we should be more like the head (leaders) and less like the tail (followers). This symbol has evolved for those who see it as too graphic, which led to the custom of serving gefilte fish, or for vegetarians, displaying a head of cabbage at the meal. 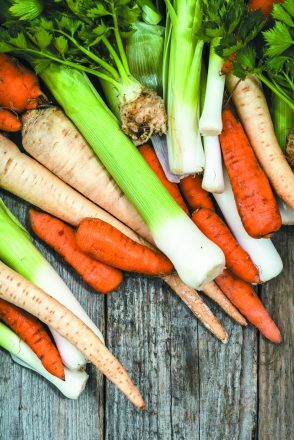 Carrots — Though there is no direct blessing for this food, the Yiddish translation, meren, also means to multiply. Therefore, it is customary to serve carrots sliced horizontally into circles to represent coins in hopes that that our prosperity, as well as our family, will increase in size. Leeks — In Hebrew, karti, the word resembles yikartu, the Hebrew word for “cut off” as we ask that our enemies may be cut off from their plans and not included in the Book of Life. Pomegranate — Full of seeds and sweet juices, this fruit represents the many mitzvot Jews are commanded to fulfill, so a prayer here asks that in the coming year, our merits will increase and our good deeds be as numerous as the seeds in a pomegranate. Dates — In Hebrew, tamar resembles the word for yitamu, to end. This sweet fruit is eaten in hopes of ending the plans of our enemies.